Spring has sprung in SF. No swallows here, but the Magnolias charmed us as always as a signal to let us know it was there. 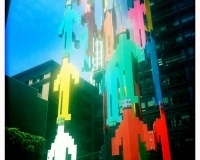 Le Marché SF is organizing an event-festival last week end of March to celebrate its first Spring in San Francisco. 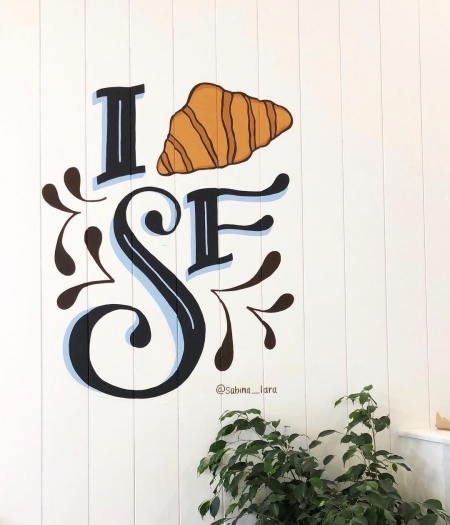 Last December, Le Marais Bakery, pillar of the local community in the art of croissants, pains au chocolat (chocolate croissants), croques and all the ''so very French'' pastry delights, opened a new location on Sutter Street, between Tenderloin, Polk Gulch and Nob Hill... some call it TenderNob. 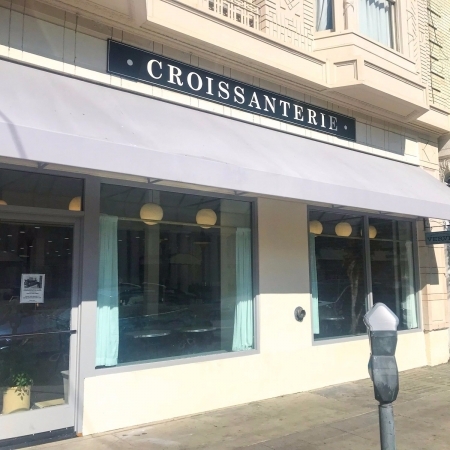 It happened to be actually a double-opening, la Croissanterie on the one hand, Le Marché SF on the other hand, pretty much one next to the other. 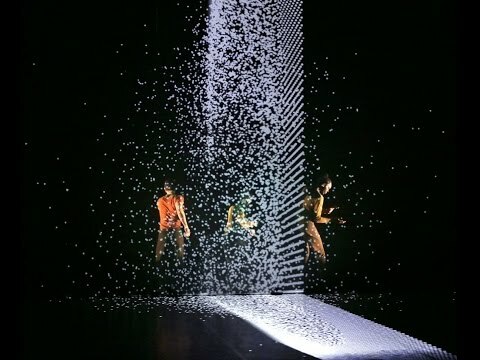 Patrick Ascaso grew up in Arpajon, a small town in the surroundings of Paris. 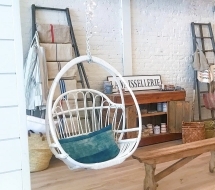 Back in 2013, he opened his first location as Le Marais Bakery, on Chestnut in the Marina. 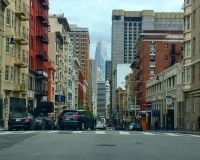 Since then, he also turned the nice space at the corner of Sanchez and 18th Street into a second Le Marais Bakery that quickly became one of the most Instagramed Cafe in San Francisco. And now, Le Marais has its great space on Sutter - the largest one in Le Marais triplet - with la Croissanterie, cafe, but also baking commissary. So you will start eating the croissants with your eyes before savoring them for real. The secret behind their taste and texture? Tradition and... French butters! The French influence brought by Patrick and the fact he grew up in France, is obvious when it comes to the menu offered at Le Marais. But it does also apply to the design of the bakeries. Tiled floors, exposed bricks, white walls and benches, the place is large, chic and yet simple, filled with light and welcoming. ''Aller au marché''... you don't even translate it. It is so French. As for the croissants... so French. Hence the idea to open Le Marché SF just a few yards away from La Croissanterie became so obvious. Le Marché needed a signature, a visual one. 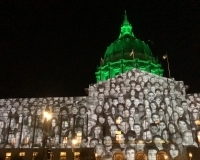 ...at 1138 Sutter, the local artist Sabina Lara covered Le Marché with greenness and freshness with her visual arts. 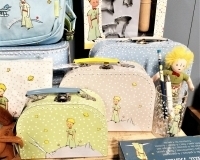 ♦Monsieur Papier, stationery items from Bretagne in France. ♦On The Other Fish, pins and bags to follow your moods. From Paris. 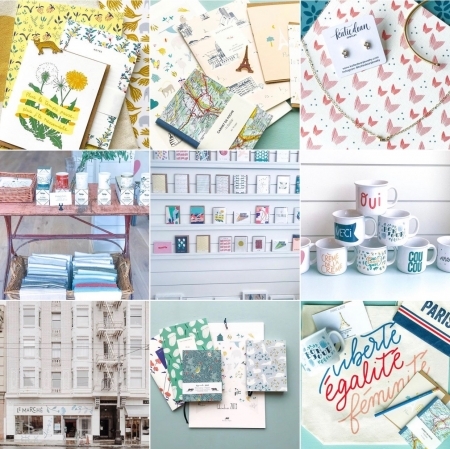 ♦Rattenkönig, sounds German, but this stationery brand happens to be French too. ♦Vert Cerise, started as a blog and now offers a wide range of cute stationery objects. 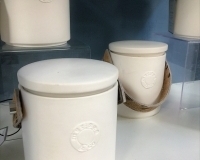 ♦Label Bougie: candles with frangrances from Grasse in France. ♦Bérangère Gosselin chez Saperlipopette with her items for kids from teeny tiny ones to rather big ones. ♦Darveelicious and its cards and posters from Montreal. ♦Petel : beautiful accessories - bags, pillows... - and a story behind to support and help kids in Mauritania. 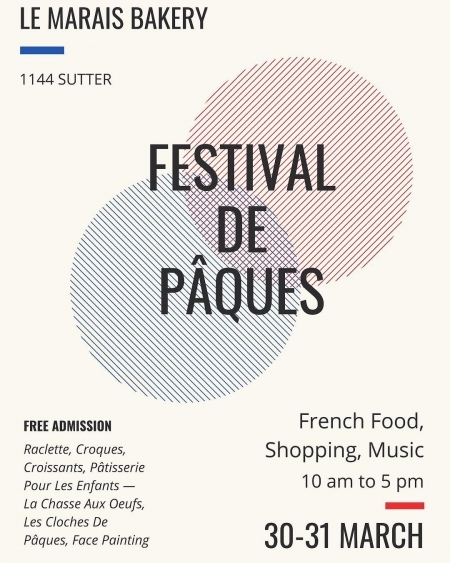 To celebrate its first Spring on Sutter, le Marché SF invites you to join them for its Festival on March 30th and 31st. The event is open to the public (free admission). 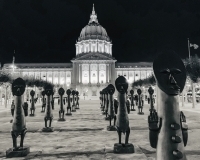 Le Marché SF will display its usual selection but other vendors are also expected. For example, Les Parisiennes in SF will be there with more than 200 Women items - clothes and shoes - from Parisian brands such as Maje, Sezane, Sandro... Second hand fashion at its best! Atelier Prélude will be there too with its ''classic, French styles for the West Coast''. In the new Spring collection, we fell for the Aurelie dress. Perfect Spring dress actually. On a food note... expect Le Marais to be part of the party with croissants and pastries, croques and cheese. And for the kids, eggs hunt like a rehearsal for Easter, face painting... will be organized. 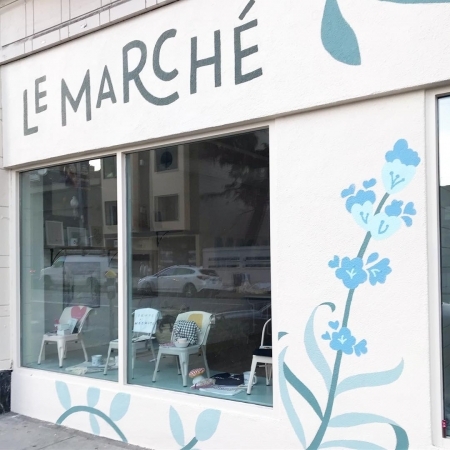 Have a good family time at Le Marché SF and discover the area.You will be just one block away from Fern Street, one of the most renowned street art alley in SF and from Polk Street.